We are pleased to announce a Solstice evening at Le Marché. 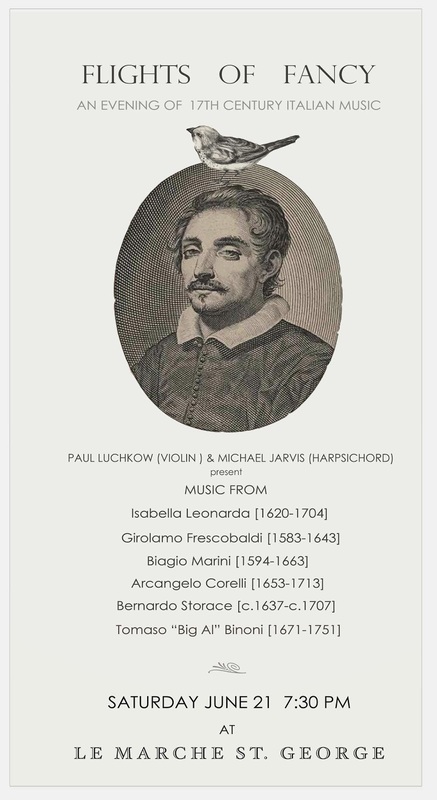 A night of fantastical music from early 17th Century Italy, crostini inspired by Italian summers and maybe a little wine. Rehearsals are going very well! Such fantastic music that we're eager to share... Come join us!